The program airs weekly on Thursday on ZIZ Radio from 9.15am to 9.45am. The weekly program provides the community with crime prevention and other citizen safety information and the opportunity for Police and community engagement. 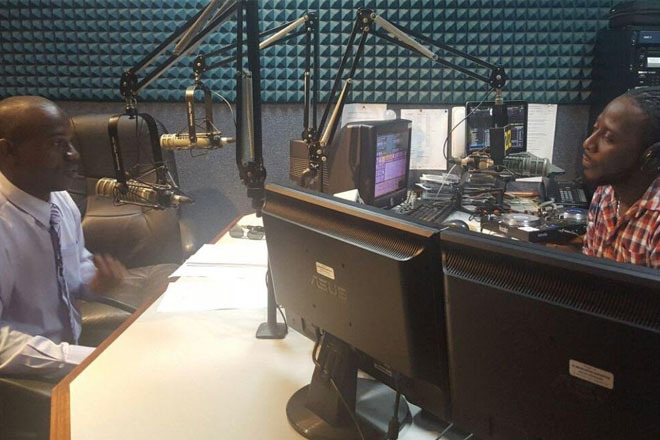 As the lines opened several callers expressed their support for the Police Service’s ongoing operations towards ensuring continued citizen safety. They spoke in particular of the recent efforts of increased stop and searches, and execution of warrants resulting in the removal of illegal firearms from our communities. “I got to big up the Police them, if I had it I would send a gift to give for them, I big up the Police for getting the guns of the streets,” said one caller. Another caller echoed a similar sentiment, “… also I want to big up the Police, they are doing a tremendous job, and I know they are stretched out…,” said that caller. A third caller shared his concern with regards to Policing of the ferry terminal area, and said “it’s very disturbing to see some of the activities at the terminal and not enough Police presence,” and asked for it to be looked at, and suggested a permanent placement of an officer in the location. The suggestion was taken for review. Over the last month program hosts Inspectors James Francis and Carl Greaux covered several areas providing tips for citizens to reduce their risk of becoming a victim of various types of crimes ranging from property to those against persons. One of the topics covered in Thursday’s program was the recent announcement of the crackdown on violators of the tinting regulations, vehicle light regulations and regulations relating to license plates. For information on the exact requirements for the tinting regulations, vehicle light regulations and regulations relating to license plates visit the Police Facebook page at https://www.facebook.com/RoyalStChristopherAndNevisPoliceForce/.